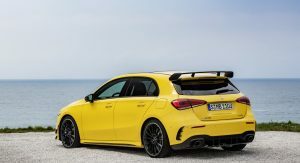 Last month, Mercedes-AMG presented the A35 hot hatch, and now the car is available to order in several European markets, including Germany. 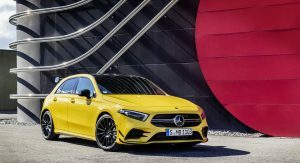 The cheapest AMG model has an MSRP of €47,528.60 ($54,183) in its home market and benefits from the specific AMG body kit on the outside and the MBUX infotainment system inside. Power comes from a 2.0-liter four-banger making 306 PS (301 hp / 225 kW) and 400 Nm (295 lb-ft) of torque. 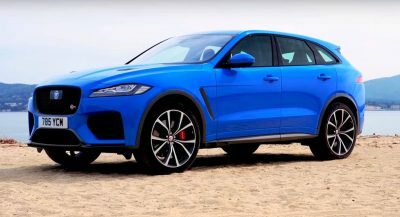 The unit works together with a seven-speed DCT and standard all-wheel drive, rocketing the A35 to 100 km/h (62 mph) in 4.7 seconds and up to a top speed electronically limited at 250 km/h (155 mph). 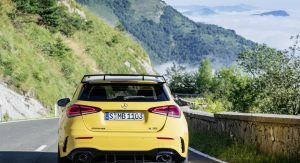 The AMG Aerodynamics Package, which was developed in the wind tunnel and improves handling at high speeds, is available as an option, along with the AMG Night Package, 19-inch wheels and others. As usual, Mercedes-AMG is celebrating the launch of the new model with the Edition 1 version. 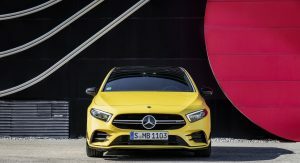 It will remain on sale for the next 18 months and is more lavishly equipped compared to the regular A35, as it gets the Aerodynamics and Night packages, as well as 19-inch alloys, as standard. 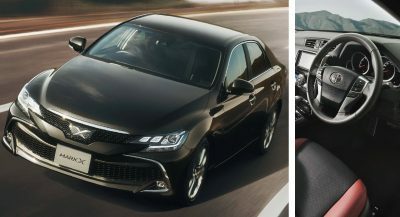 Inside, it gets black, grey Artico or Dinamica upholstery with blue accents and medium-grey contrast stitching, heated performance seats, sports steering wheel, ambient lighting, aluminum trim elements and an ‘Edition’ badge on the steering wheel. 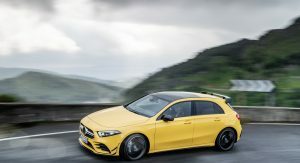 The Mercedes-AMG A35 Edition 1 uses the same engine as the regular A35 and has identical performance, but due to the added extras, as well as being a limited production run, it starts from €55,364.75 ($63,116). 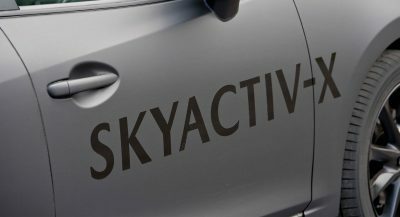 Deliveries of both models will start in December. Who buys this for 48k€? For the same price you can have a V8 Mustang or Camaro in Germany. The new A-Class is loaded with innovative technology and doesn’t target value-conscious performance enthusiasts. It also offers a lot of tangible and intangible features which you may not get in a Mustang/Camaro. Drive them first, you may like them. I’ve driven the new A180d and A200 AMG Line and I liked them (I am currently driving a 2007 BMW 118i E87 5-Door, which is RWD). Competent and sporty handling, quick and agile and the technology onboard is simply amazing. These cars are fun to drive in their own way. I expect the A35 AMG (and the upcoming A53 AMG) is going to blow people away with its capabilities and fun-factor. Please don’t get me wrong. I love those european hot hatches and believe that the new a35 is a fantastic car. But 49k for the base grade a35 is just ridiculous. If you add all the bells and whistles you will end up at over 60k for a golf sized car. No offense taken. One peculiar characteristic of European car buying habits is that people also tend to buy cars based on the size of their garage space. Eww American cars? You’re joking, right? 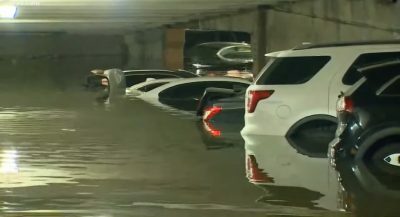 Not to mention the super high taxes you have to pay for a Camaro or a Mustang, and beside that, they’re huge cars for European cities. Looks like MB is abandoning their unique styling for more pedestrian looks. Hmmmm, not good. 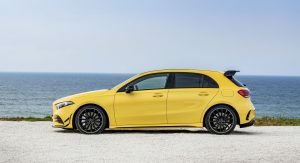 That color is now available for all A-Classes on the configurator of the German Mercedes-Benz website. Sweet! Wish it had been available when I ordered mine.